Part of the provenance Rolex bring is their high resale value, and what the brand commands in auction. When watches sell at high prices at auction, despite that many of these pieces are untouchable by ones who normally see Rolex at a dealer, on someone’s wrist, or on the Internet, the brand’s caché increases when prestigious watches are sold at prestigious prices and a prestigious auction house. 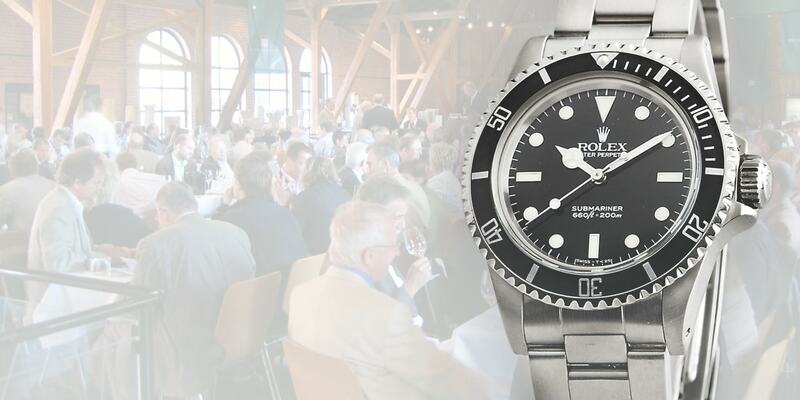 Rolex Fetches High Prices at Auction. That is what happened at Bonhams of New Bond Street located in London earlier this June. Bonhams is a world renounced auctioneer of high priced art, jewelry, automobiles, and watches. Bonhams curates the finest lots and fetches the highest value the market affords to rare luxury items. Rolex did well with a 1971 Paul Newman manual wind pre-Daytona chronograph selling at over $141,000 (US) exceeding the presale estimate of $62,000. The Paul Newman chronograph is one of the most copied and emulated wristwatch of the Rolex line. Its provenance goes back to Paul Newman wearing the watch in his driving movies, and with both the watch and the dial unavailable, brings top dollar to anyone who wishes to own one. Just to insure that the $141,000 sale was not a fluke, Bonhams sold a second Rolex Paul Newman chronograph for $124,000 (US) and exponential increase of its initial value of $18,813 (US). Two other Rolex watches did well in auction. A Rolex Submariner reference 5513 with the military T on the dial and solid springbars that can only utilize a NATO strap fetched $56,519 (US). These watches are highly desirable as they were made in limited quantities for military use. These military Submariners, more commonly known as the Mil Sub, possess the benefits of a regular 5513 submariner, but are distinctive because of the custom dial and the solid springbars. The military specified this watch with a nylon strap so that it can be easily adjusted to varying conditions including wearing on the outside of clothing. Rather than risking losing the watch because the springbars are exposed when using a nylon NATO band, Rolex utilizes solid springbars to insure that an unprotected springbar does not pop-off if pressed in the right place. A 17 jewel manual wind pre-Daytona chronograph made in 1959 and worn by Chris Conn fetched $37,000 (US) at auction. This Rolex stainless steel chronograph was presented to Chris Conn after winning the 1963 Malaysia Motorcycle Gran Prix with the distinction engraved on the back. Complete with original band this timepiece possessed its original dial, the rarity of a fine pre-Daytona chronograph, the provenance from the wearer that makes for a high value watch. It is these stories and the distinction of Rolex that makes these timepieces fetch high values at auction.